Weather data is currently unavailable. Additional discounts are also available for stays longer than 14 days. Our rates vary from season to season and with availability. For a quote, please contact us or call (360) 597-8720. Ask about discounts for extended stays of more than 14 days or last-minute bookings. Find out more about the area and activities. Last-minute bookings accepted at special rates. Additional discounts are also available for stays longer than 14 days. Call (360) 597-8720 for more details. $500 deposit required to hold reservation. Balance due 60 days prior to arrival, via personal check or cashier's check. We can accept payments from those outside of the U.S. via PayPal. Travel to Hawaii and book a stay at MauiOcean. MauiOcean is an oceanfront upscale condo located near Lahaina Maui. Use our site to help plan your travel to Maui, or find things to do on Maui. 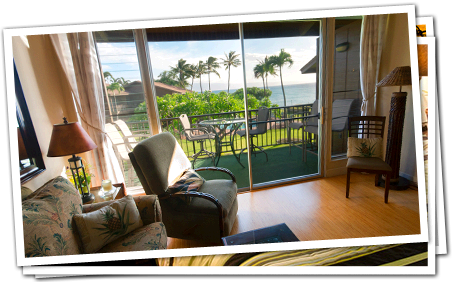 Be sure also to read our Maui condo reviews.